GMS has been headquartered in Surabaya, Indonesia since 2003, employs 35 highly motivated specialists and operates a branch office in Jakarta. 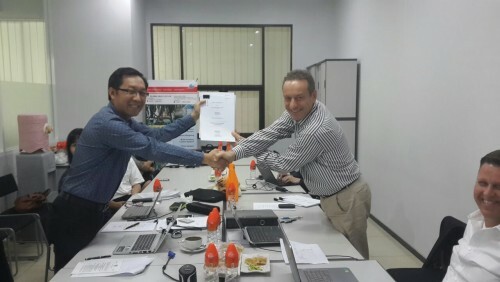 The company has established an excellent reputation in the Indonesian market while executing Turnkey Process Control and Industrial Automation projects. As an independent Systems Integrator, GMS has engineered and implemented a large amount of turnkey automation solutions particularly in the Power Generation, Petro-Chemical, Fertilizer, Pulp & Paper, Oil & Gas, Cement and Mining industries. Besides this extensive experience and reputation in major growth industries in Indonesia, GMS also brings its strong foothold in Eastern Java to the ZI-ARGUS group, which allows us to execute projects with a larger scope and better serve our customers in this region. We proudly welcome all the GMS employees to the ZI-ARGUS organization and look forward to growing our business together.